Paul Simon knows a thing or two about the sounds of silence. He also knows the sound of a good lawsuit, and so the singer-songwriter is suing a Japanese clockmaker for $5 million for copyright infringement, claiming the company used one of his songs as a composition on their clocks. Simon's lawyers accused clock company Rhythm Watch Co Ltd, and its US subsidiary Rhythm USA Inc of using Simon's song Bridge Over Troubled Water on 40,000 of its clocks in the last three years without his permission. The lawsuit called the composition "one of the best known songs throughout the world in popular music" and cited Rhythm's Grand Nostalgia Clock as one that plays Paul Simon's song without permission as well as other popular songs including My Way. 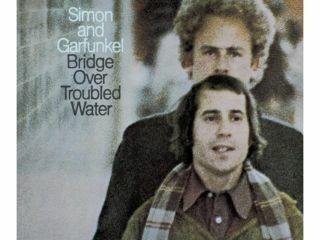 Bridge Over Troubled Water was the title song of Simon and Art Garfunkel's final album together, released in 1970. Typically, a license fee for using a song so recognizable would have cost more than $1 million and the lawsuit estimated Rhythm had profited more than $5 million from the sale of clocks that use the song. Looks like Rhymin' Simon is one customer who has to be satisfied.